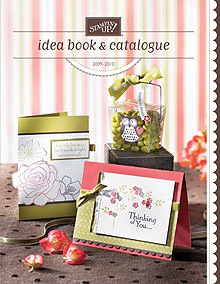 It uses the Great Friend and Oval All Stamp sets, which are available in the new Spring Mini Catalogue, beginning on the 1st of August. The scallop oval punch is in the new mini catalogue too, and I am in love with it!! 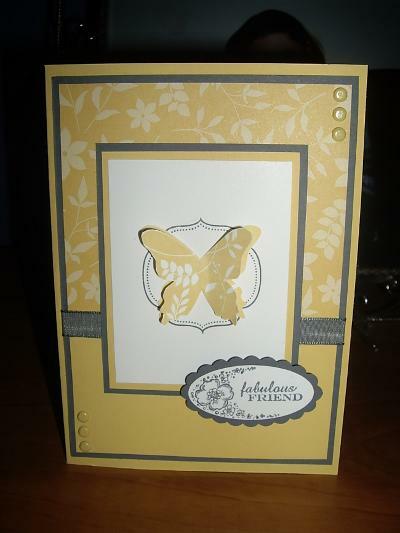 Cardstock: Basic Gray, Whisper White, So Saffron. Stamp sets: Oval All, Great Friend. 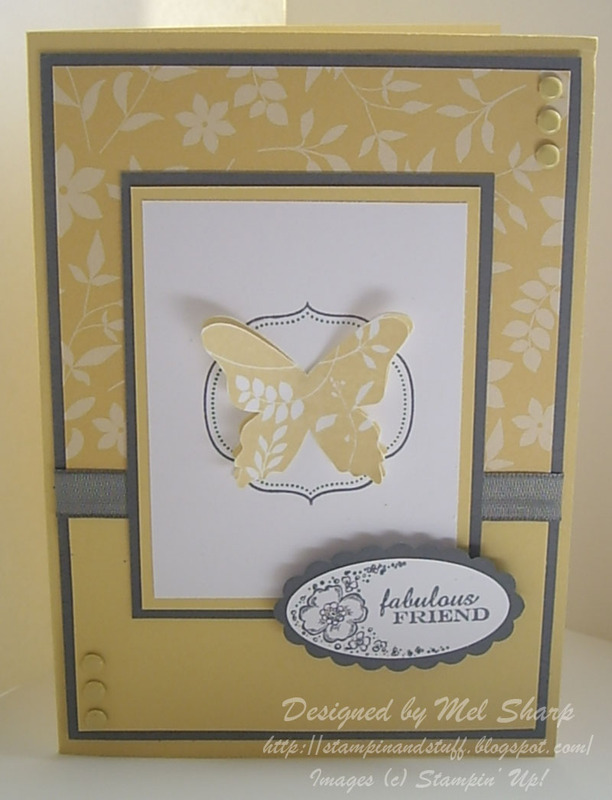 Inks: Basic Gray Classic Stampin Pad, So Saffron Classic Stampin Pad. Accessories: Large oval punch, Scallop Oval Punch, Basic Gray Taffeta Ribbon, So Saffron Brads. This entry was posted on Thursday, July 23rd, 2009 at 10:07 pm and is filed under Uncategorized. You can follow any responses to this entry through the RSS 2.0 feed. You can leave a response, or trackback from your own site. One Response to Cyberstamp Colour Challenge!